Did you know this wonderful story became a success after it became a play? The Wonderful Wizard of Oz is a children's novel written by L. Frank Baum and illustrated by W. W. Denslow. 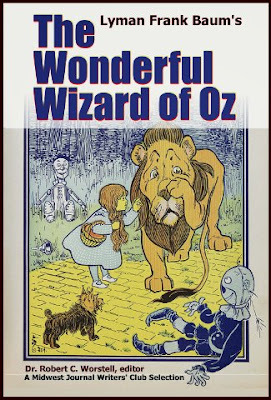 Originally published by the George M. Hill Company in Chicago on May 17, 1900, it has since been reprinted numerous times, most often under the name The Wizard of Oz, which is the name of both the popular 1902 Broadway musical and the well-known 1939 film adaptation. The story chronicles the adventures of a young girl named Dorothy in the Land of Oz, after being swept away from her Kansas farm home in a cyclone. The novel is one of the best-known stories in American popular culture and has been widely translated. Its initial success, and the success of the 1902 Broadway musical which Baum adapted from his original story, led to Baum's writing thirteen more Oz books. Dorothy is a young orphaned girl raised by her Uncle Henry and Aunt Em in the bleak landscape of a Kansas farm. She has a little black dog Toto, who is her sole source of happiness on the dry, gray prairies. One day the farmhouse, with Dorothy and Toto inside, is caught up in a cyclone and deposited in a field in Munchkin Country, the eastern quadrant of the Land of Oz. The falling house kills the evil ruler of the Munchkins, the Wicked Witch of the East. The Good Witch of the North comes with the Munchkins to greet Dorothy and gives Dorothy the Silver Shoes (believed to have magical properties) that the Wicked Witch had been wearing when she was killed. In order to return to Kansas, the Good Witch of the North tells Dorothy that she will have to go to the "Emerald City" or "City of Emeralds" and ask the Wizard of Oz to help her. Before she leaves, the Good Witch of the North kisses her on the forehead, giving her magical protection from trouble. On her way down the road of yellow bricks, Dorothy frees the Scarecrow from the pole he is hanging on, restores the movements of the rusted Tin Woodman with an oil can, and encourages them and the Cowardly Lion to journey with her and Toto to the Emerald City. The Scarecrow wants to get a brain, the Tin Woodman a heart, and the Cowardly Lion, courage. All four of the travelers believe that the Wizard can solve their troubles. The party finds many adventures on their journey together, including overcoming obstacles such as narrow pieces of the yellow brick road, vicious Kalidahs, a river, and the Deadly Poppies. 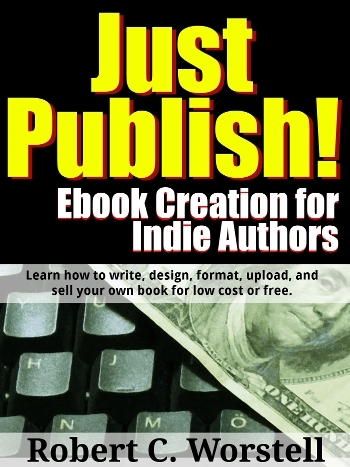 This was created by popular request to enable any beginning or established author to improve their skills by studying quality editions of classic bestselling fiction. Join at http://midwestjournalpress.com.